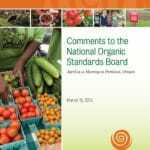 The Cornucopia Institute has submitted its formal comments to the USDA’s National Organic Standards Board (NOSB) for consideration at the Spring meeting of the NOSB. This diverse 15-member body was established by Congress to review policy and materials used in organic agriculture and food. They meet twice a year, and the next meeting begins April 29 in San Antonio, TX. 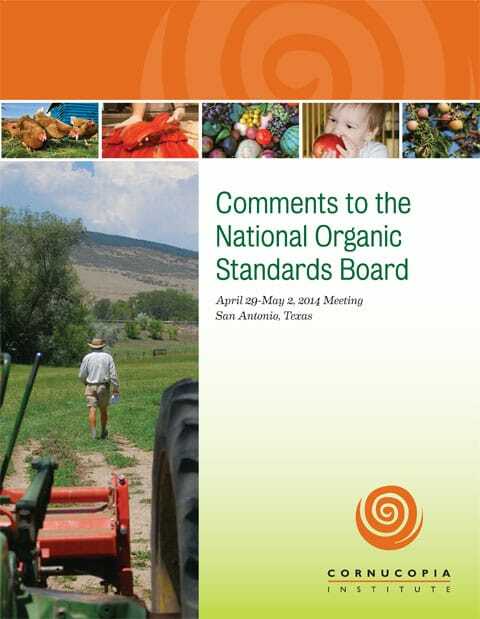 Ever since Cornucopia’s investigation culminated in the publication of The Organic Watergate (outlining corruption between the corporate organic sector and the USDA) The Cornucopia Institute has committed to thoroughly review all materials and policies presented for approval to the NOSB. 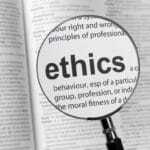 In the past many in the organic community trusted that the technical reviewers the USDA was hiring were independent and unbiased. The Organic Watergate report illustrated that many of these reviews were performed by corporate agribusiness executives or consultants (in some cases facilitating inappropriate synthetic ingredients for use in organic food processing). To make matters worse, today, after Cornucopia’s criticism, the USDA now refuses to even share with the public the qualifications or identity of the consultants they are hiring to perform technical research. The NOSB is not a scientific panel. It includes farmers, retailers, certifiers, public interest/consumer representatives and conservationists. They need good objective help in making their important decisions. Since the USDA seems unwilling to follow the law The Cornucopia Institute has stepped up, adding to our team of agricultural policy and scientific experts, in providing objective analysis to NOSB members and the public. Our comments for the upcoming meeting concerning materials considered for use in organics and organic policy can be viewed here. 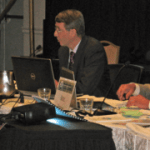 Citizen-Lobbyists: Testify at Spring NOSB Meeting!